You are here: Home / Art / For the Skeptics: How Much Does Hypnosis Really Work? The idea of hypnosis usually falls somewhere between an intense curiosity and a magicians trick for most people. If hypnosis is really all it’s cracked up to be, there could be a lot of benefits taken from it. Quitting smoking, improving relationships, dealing with past trauma, and tapping into memories are all things that come to mind. 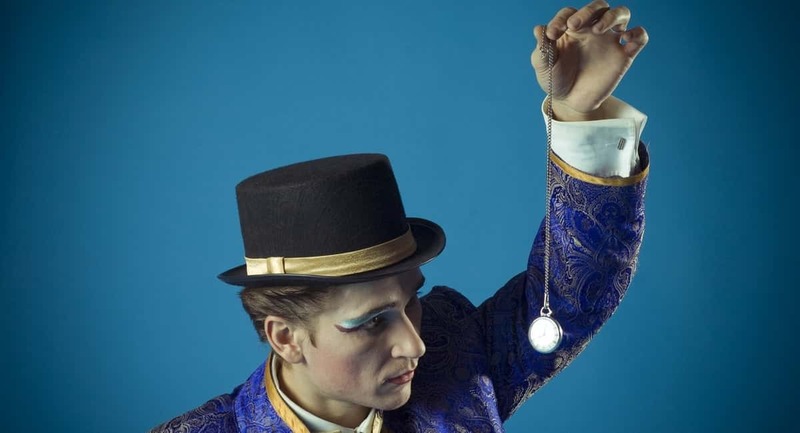 On the other hand, hypnosis is often painted as trickery, often times with a hypnotist holding a swirling pocketwatch in front of a one’s eyes. If this description is closer to the truth, seeing a hypnotist could leave you hundreds of dollars short and none the better for it. So, does hypnosis really work? We should talk a little bit about the beliefs and understanding that go into the practical uses of hypnosis. Hypnotism, when done correctly, deals with the way our minds process information and how that information operates on our consciousness. Hypnosis is a real state of consciousness that everyone has the ability to get into. There are a couple of examples that everyone can probably relate to. The first is the classic idea of your drive to work. After you get into a routine, your brain doesn’t need to work as hard to remember directions and operate the vehicle to get to your destination. Many people can remember a time when they hopped in the car, arrived at work, and couldn’t remember anything about the drive. The state that your brain is in when you’re driving on autopilot is a sort of hypnosis. You’re still there, you’re functioning, but you’re not doing much of anything consciously. The other universal example of hypnosis is the state of consciousness our minds enter just before, or, sometimes, just after sleeping. When you lie down and close your eyes, you typically continue thinking about practical things about your day or your life. Your thoughts are on par with what they would be if you weren’t sleeping at all. Then, gradually, your thinking becomes less logical. It begins to be coupled with more images and ideas that don’t seem to be relevant or make sense. This is often times a very short state that signals the oncoming of sleep. That said, we’ve all been in that mindset whether we remember it or not. To keep with the previous two examples, you’ll notice that both of them have to do with a loosening of the conscious mind and relaxation. When you’re zoned out on your way to work, you may recall thinking about things in more detail, being more abstract and coming to conclusions. You may even remember thinking about things in narratives with more imagery. In that state and states like it, the ability to think about things is less regulated by the conscious mind, allowing ideas to flow a little smoother than they would otherwise. The same is true when you’re about to fall asleep. The relaxed state allows your mind to come up with newfangled ideas and think about things that might not make perfect sense. The idea is that when your conscious mind is relaxed, your unconscious mind begins to rise to the surface. You can call it what you want. The fact is that there are ideas and thoughts bubbling beneath the surface that have an effect on our daily lives, behaviors, and feelings. Some people place more importance on the conscious mind than others do. You may be a person who believes wholeheartedly in the power of dreams and their meaning connected to the subconscious, or you may think that there’s nothing but what you’re thinking about in the moment. When it comes to hypnosis, though, there’s a sort of framework that you need to think in to understand the value. We’ll get into the specifics of hypnosis next, but before we do, try to take on the following framework. When you slow activity in the conscious mind and begin to open up to the subconscious, the information that you take in can be more suggestive and have a large impact on the ideas and content of your deeper mind. There’s an idea that your subconscious can better understand and compartmentalize information, using abstraction to make sense of things rather than logical thinking. In that way, it can better use the information coming in to make valuable changes and insights into your life and what it needs. It’s important to note that, while it’s real and can be effective, hypnosis is not an exact science. Your hypnotist will have you sit or lie down somewhere comfortable and get settled into the environment. They will then begin to talk to you gently, either describing peaceful imagery or some other method of having you enter a state of relaxation. This is intended to make you feel comfortable and safe in addition to being more receptive to suggestions while you’re in the hypnotic state. There are different methods of entering the hypnotic state, but it’s generally the case that you will simply be prompted to relax. In the clinical environment, this is all that’s needed. There are no cloaks or dangling swirly artifacts. Only relaxation. Although hypnosis is often seen as a sleepy, diluted state, you will actually have a greater focus. Peripheral awareness will be reduced and you will enter into a highly concentrated state. This is the state that allows your mind to cut through the filler and address issues at hand. In other words, the chatter of your conscious mind will fall away and you’ll be left with your intentions, your attention, and the guidance of the therapist. If you’re unsure of this idea, and to demystify the process of hypnosis, consider the following example. Imagine that you’re in high school or college and you have a big paper to write. You want to go hide away in the library but it’s snowing heavily outside and your only option is to enter the local coffee shop. You frequent the coffee shop, so you see a number of friends when you enter. Everyone says hi to you and you sit down in your regular spot. Your friends join and sit around you, chattering away like normal. Because you have the strict intention of finishing your paper, you open your laptop and begin to write. At first, you get tripped up by a few distractions when your friends talk about subjects you’re interested in. After a while, though, your focus enters entirely into the project and you begin to work. A few hours go by, you look up, and your friends have left. You have nearly completed the paper and have little recollection of the time that passed. A parallel can be drawn from this example to the state of heightened attention in hypnosis. Normal distractions and peripheral awareness are turned off, leaving you pigeonholed (in a constructive way) on the task at hand. Hypnosis is the same, only the tasks you focus on are guided suggestions given by a trusted hypnotherapist. Before you enter hypnosis, you’ll discuss your goals with the hypnotist. You aren’t likely to go in just to have hypnosis performed on you–you probably want to become more productive, address an issue, or try to quit smoking. You’ll have a goal to achieve. Your hypnotherapist will know those goals well and have thought-out suggestions to guide your mind while it’s in the hypnotic state. They are simply there to give your brain the roadmap to follow and realize it’s true desire to achieve that goal. While we often have goals and intentions that align with our core beliefs and desires, things get in the way. It’s like wanting to go to the gym and coming up with a million reasons not to go. We want to do this positive thing but our brains work against us. Our hearts are in the right place, though. The goal of hypnosis is to allow your cut out whatever excess there is that is getting in the way. The heightened concentration allows you to see the value of your goals directly and appreciate them. Hopefully, this process will result in changed behavior after the hypnosis. There are different forms of hypnotherapy. the Quantum Healing Hypnosis Technique, for example, is one method that differs slightly from traditional hypnosis. There are even stage hypnotists that will make a display of a hypnotized person in front of an audience. Do some research to find the method that will suit you best. Does hypnosis really work? It appears so. People experience real change after undergoing hypnotherapy. It requires some belief on your end, as those who believe in the process are more open to suggestions while under hypnosis. If you’re not sold, however, you may just want to give it a shot and find out! If it doesn’t work for you, no sweat. There are many ways, from taking care of your body to going to a counselor, that you can get healthy and deal with whatever is ailing you.